Some Thing’s Are Best Left Forgotten. 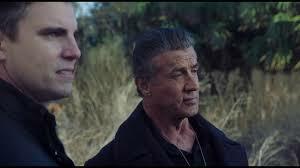 On paper this film should be a hit with hard hitting stars Stallone (Rocky, Rambo, Escape Plan, The Expendables)and Modine (Full Metal Jacket, The Dark Knight Rises, Speed Kills) but that is where it stops and it should have remained on the paper. Director Brian A. Miller (Vice, The Prince) takes first time feature writer Mike Maples story and runs with it. Unfortunately he ran a bit too fast and didn’t pay attention to the details. A crisp fresh morning and two men with shovels run away from a derelict cement factory. They throw the shovels into the back of a S.U.V. and climb in and drive off. In the vehicle there is Truby (Swen Temmel, Turning Point) Foster (Sergio Rizzuto, Reprisal) and in the back Macdonald (Matthew Modine). They argue about how the heist they had done had not gone to plan and now they need to speed up to hit their mark. But they are driving down a deserted dirt track when they spot two vehicles and two people blocking their way. They pull up and Truby and Foster get out to talk to the guys whilst Mac goes to the back of their vehicle. When Mac presents the men with their cut of the 20 million dollars they are not happy, they are told that the rest of the money has been buried and if they kill them they will never find the other 15 million. But a shot is fired and a long protracted shoot out breaks out. Foster and Truby are killed but Mac makes a break for it whilst the rain of bullets chase him until he is hit in the head. He survives and manages to get away as the two assailants make their getaway. 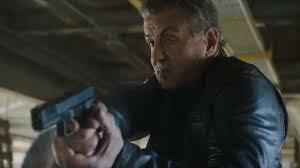 The police are on the scene and Captain Sykes (Stallone) turns up at the scene where the unconscious Mac is being loaded onto an ambulance. After a long time in a coma he has to spend 6 months learning how to walk again and a year to learn to talk and he has total amnesia about everything before he was shot. He has spent the last seven years in a psychiatric ward under assessment. Sykes has been visiting him over the years trying to solve his murder case and he is still not sure whether Mac is playing the police force as idiots. Mac is eating his dinner when a voluntary inmate starts talking to him. His name is Lucas (Ryan Guzman, Beyond Paradise) and he says he can get Mac out because he has 20 million reasons to help him. He gives him a large pill and heads off with security guard Farren Dell (Tyler Jon Olson, Escape Plan II) for his assessment. Will Mac make the right choice?